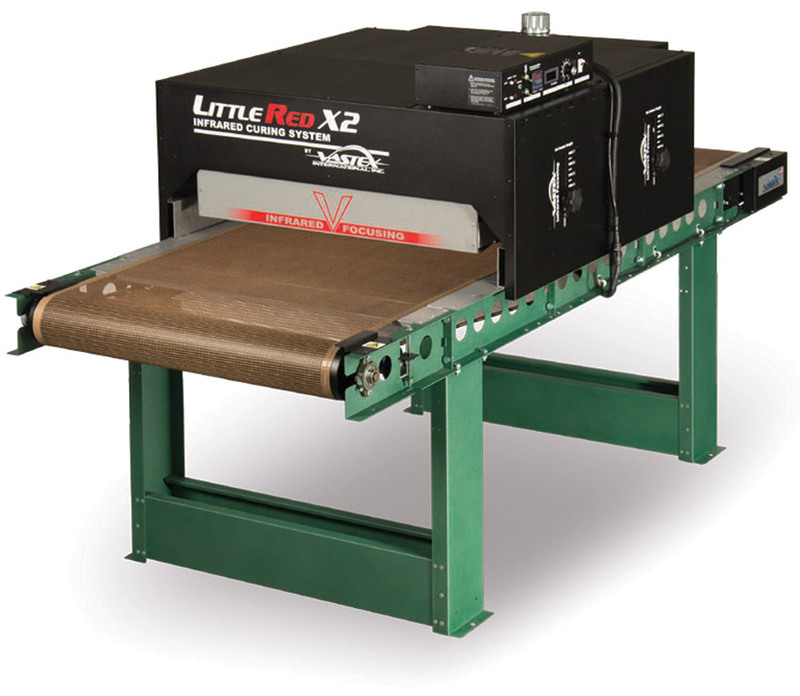 The all-new series of Little Red Conveyor Dryers from Vastex offers expandability, repeatable results and fast payback never before available to mid/high-capacity textile printers. Following are details on Little Red X2 models. For lower capacities go to Little Red X1 models. The Little Red X2-30 model with 30 in. (76 cm) wide x 84 in. (213 cm) long conveyor belt is offered with two 24 in. (61 cm) wide 240V/2,600 watt heaters to cure up to 260 plastisol-printed images or 90 discharge or water-based printed images per hour.